Employee ID cards and office badges are a common sight in IT complexes and business establishments. 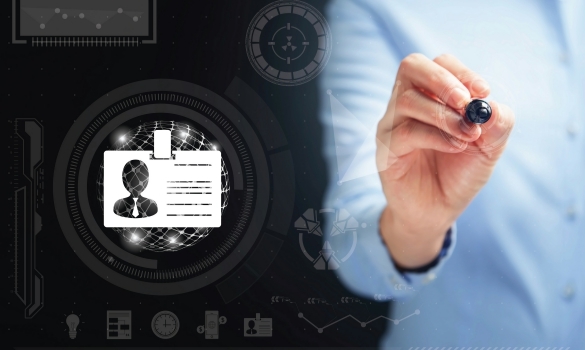 While it’s common knowledge that ID cards help identify and grant access to employees, not many people know that these plastic cards can actually help businesses and organizations save money. This is exactly why even medium-sized local businesses are now ordering custom ID cards for their employees. Apart from its core function, which is to keep the office building safe from unauthorized intrusion, these cards offer a great branding opportunity. ID cards are also compatible with automatic access systems, which drastically reduces the requirement of hiring security guards. Lastly, these cards increase efficiency by greatly simplifying the task of tracking employee work hours and attendance. Without further ado, following are 2 ways office ID cards are saving businesses money. Most businesses spend thousands of dollars to get their names on billboards, posters, and other printed marketing materials. In fact, companies pay celebrities and sports personalities huge sums of money just to wear t-shirts and caps with their logos on them. While hiring Michael Jordan to wear a corporate t-shirt can cost millions of dollars, businesses can do it for free if they give each employee a badge with their logos on them. Granted, a single employee can never get as many eyes on the brand as Michael would do on a bad day. However, when hundreds of employees wear office badges with logos, they can seriously boost brand visibility. Employees wear office badges while coming to office and when returning home. They also roam around with ID cards hung around their necks when going out for a break. A significant percentage of employees who are given swanky-looking office ID cards end up showing them off to friends and family members. This exposes the brand to a lot of people and fuels word-of-mouth marketing. Considering that businesses can order a supply of 250 office ID cards for less than $300 dollars, they are investing a little more than a buck for getting their brand displayed by a single employee. Let’s consider the following scenario. A company orders 250 ID cards at the total price of $300. Let’s also assume that the logo displayed on each office badge measures 1 square inch. That means the company is effectively paying just $300 for a total branding real estate of 250 square inches or 20.8 square feet. To top it all off, the company also does not need to pay for the advertising space. Security is essential for keeping business assets secure. Apart from being branding mediums, data encoded ID cards can be paired with office access systems. This means instead of stationing human security guards at each exit and entry point, companies can get access control systems installed in their commercial office space. Utilizing CCTV equipment and deploying access card control systems, companies can keep a huge office space secure with minimal security staff members. The office ID card plays an essential role as they can be swiped and scanned at entry points without security assistance. The cost of buying and installing the security system is quickly compensated by the fewer number of security personnel a company has to hire. This approach also leads companies to adopt a much more efficient security system that’s free from human-errors.